Transparent Box Display is an even more rarity in the market today with its duo-display function. Consumers can see the actual product inside the box, and simultaneously watch the advertisement of the product on the outside screen. The LH Series has an amazing average life of 50,000 hours - enough for several years of non-stop service. With the reliable industrial-class performance and sturdy build, the BenQ Digital Signage displays are in fact more economic than consumer models. 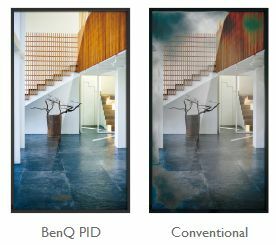 BenQ puts extra attention on scenarios in which portrait mode communicates better. The PID panel employs a structure featuring more solid fixing points on all edges to prevent "Mura" image distortion common on vertically positioned consumer displays. With the transparent box display combining an interactive screen effect through the merchandise display and image information, you can develop an eye-catching attraction. 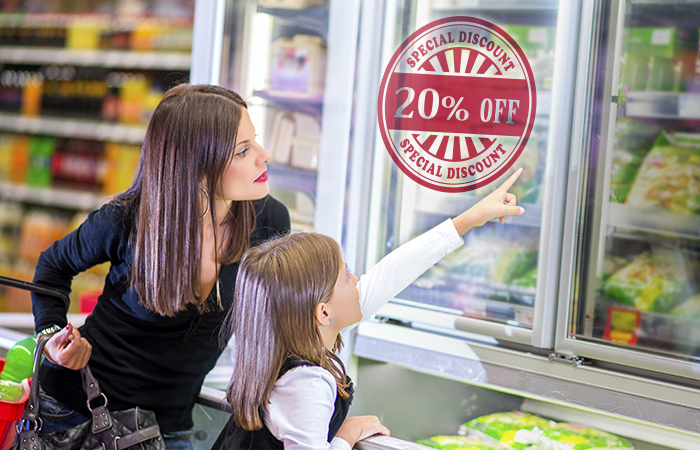 The transparent box can be used to display new products in vending machines and store windows, but according to the recent promotional activities and interaction with consumers, utilizing a multi-functional machine, will be very attractive and beneficial to advertisers. The open frame transparent panel possesses high transparency features. The panel transparency can be adjusted according to the environmental light source and the style and feature of the displayed content. The dimensions of panel are 65", 50", 32", with a variety of selections, and is a better use of flexibility combined with multiple digital multimedia content designs that can all be used in furnishings in museums, exhibitions, and boutique window decorations. BenQ joins forces with the National Palace Museum "The Qianlong C.H.A.O. New Media Art Exhibition"
An exciting new fusion of display technology and East Asian arts! Do you see a display window? "Qianlong and the East and West" makes use of BenQ's unique transparent LCD display technology, combined with a miniature vase, a sprite puppet, a vase shadow background screen and an animated dancer.